A new drug and addiction clinic has been launched in Thailand, called Miracles Asia. It offers professional drug and process addiction rehab with individualized care to help patients get the best results. A new Thailand based drug and process addiction rehab center has launched, called Miracles Asia. It is a destination of peace, recovery and self-discovery with a focus on helping people to overcome dependency and addiction in a nurturing environment. Unlike many other rehabs Miracles Asia does not use a one-size-fits-all approach, but offers personally tailored treatments in an exotic yet serene environment. The facility only caters for a maximum of 8 guests, unlike many institutionalised rehabs who typically have between 50 to 100 shared bedrooms and are run by corporations and hedge funds whose main focus is not always recovery. Consequentially Miracles Asia has the highest counselor to guest ratio in Thailand and across Asia, offering guests significantly more one-to-one face time with counselors. Miracles Asia treats people with various types of addictions, serving clients in need of help dealing with alcohol, drugs, prescription drug dependency, gambling and mental wellness. During the client’s pre-admission assessment, the expert team at Miracles Asia will determine the patient’s need for medical withdrawal assistance. Miracles Asia which is certified by the Thai Ministry of Health, has on hand experience in the process of withdrawal, and also partners with local international medical providers to ensure every patient has a safe transition to recovery. They specialize in helping people with addictions including alcohol, narcotic and amphetamine addiction, designer drugs, and marijuana. Process addiction, like behavioral addiction, can also be treated, with the most common being treatment for gambling issues, as well as social media addiction, gaming addiction and many more. One of the benefits of using Miracles Asia for addiction and dependency treatment is that the team offers individually tailored programs in a luxurious, focused environment. Patients are also offered a selection of activities and services to match their lifestyle. This varies from a sports focused program with a specialised coaching program in Asia’s premier sports training facility to health, beauty and wellness programs with nearly 70 treatments available. There is also a private corporate package that enables executives and business owners to manage their business affairs while undergoing addiction treatment. 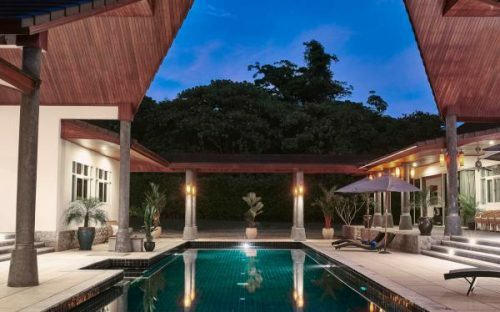 Miracles Asia also offers a more sophisticated bespoke service, with access to a personal luxury villa, a driver, chef and personal treatment team who are on call 24/7. Miracles Asia has personalized packages to suit every patient. All clients have their own private suites with their own private bathrooms, and unlike many rehabs, there is no room sharing. Clients who need more intensive care can also get more one-to-one sessions that can quickly identify any deeper underlying issues, such as co-occurring disorders often undiagnosed in many addiction cases. This significantly increases the effectiveness of long-term recovery. On Phuket Island, clients are removed from the sources of their triggers and abuse, along with any recurring local influence that may be present in their home or work environment. Instead they experience stimulating, exotic local culture in paradise, along with great food, weather and scenery, all adding a sense of adventure, rediscovery and vitality to their recovery including improved health and mental wellness. Mark Heather the owner of Miracles Asia is on site every day, often dining with his guests in the evening to listen to the challenges they are facing. Something he can empathize with all too well, as he has been in recovery for over 25 years. Typically, pricing is about 50 to 70% less than similar rehabs in the USA, but with a lot more amenities, activities and one-to-one counseling on offer.